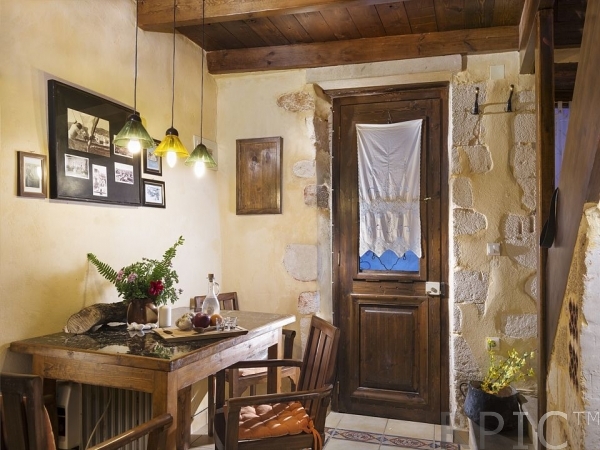 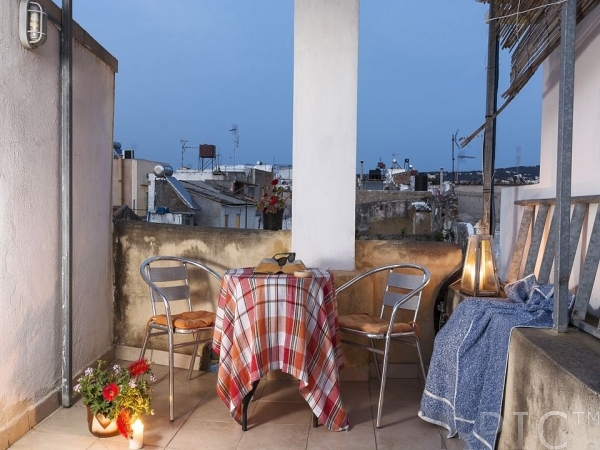 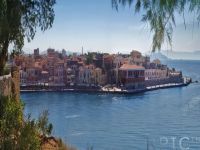 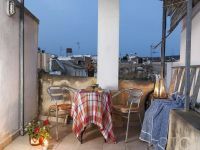 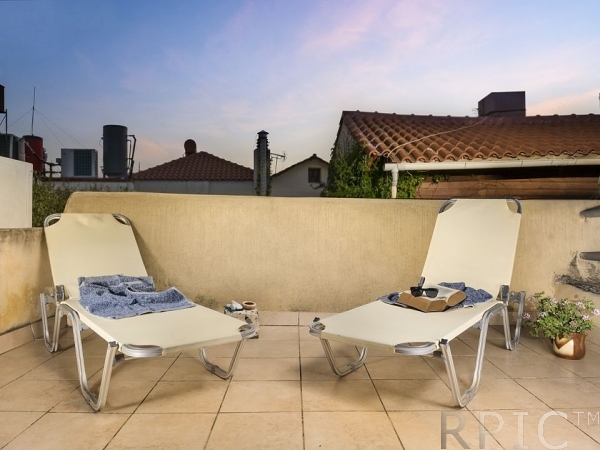 a delightful Venetian town house in area of Splanzia, Chania. 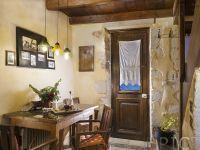 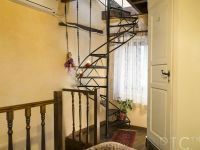 This House can sleep up to 4 adults – one double bed, one single bed with pull-out secondary bed, and a sleeping platform in the sitting room – there is plenty of room for children as well. 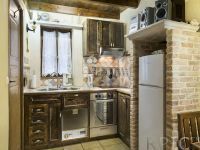 The House has a fully fitted kitchen dining room on the ground floor, with cooker and sink, dish washer, washing machine and all the pots and pans you could need – even a coffee maker. 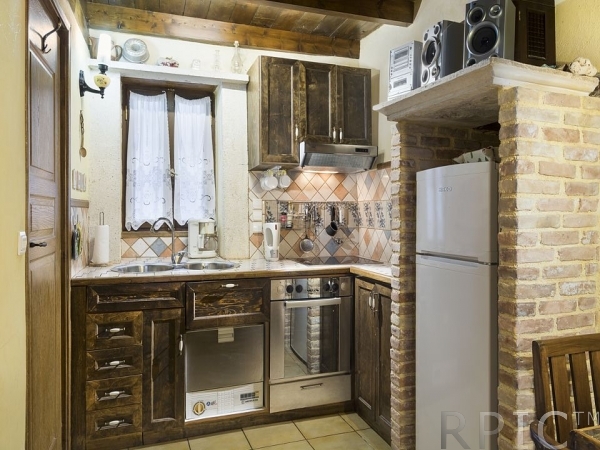 There is a large fridge freezer too. 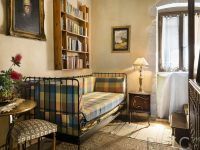 On the first floor is the beautiful sitting area with the stone oven and two stone alcoves, plenty of storage space, bookshelves (lots of books for you to read, as well) and interesting original oil paintings. 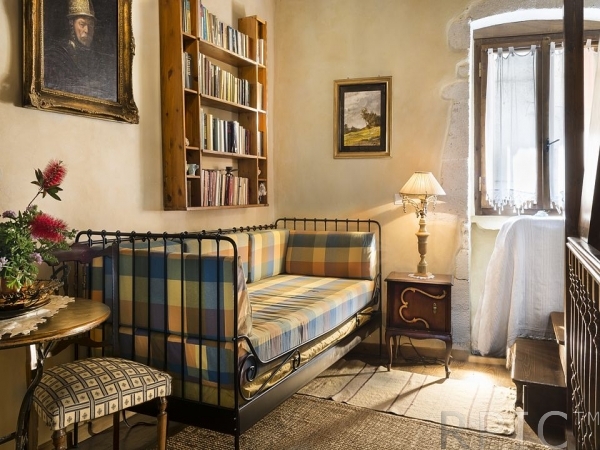 The comfortable sofa becomes two beds when needed and there is one more single extra sofa there. 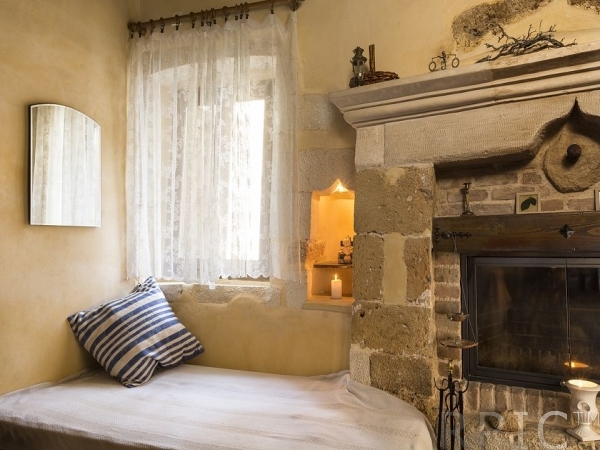 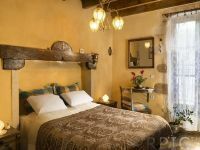 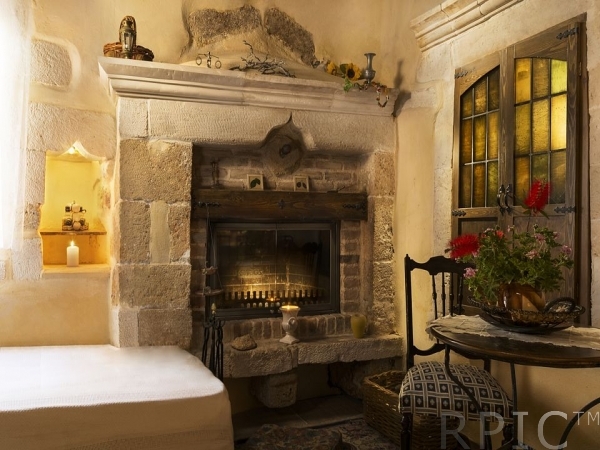 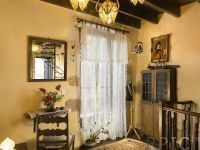 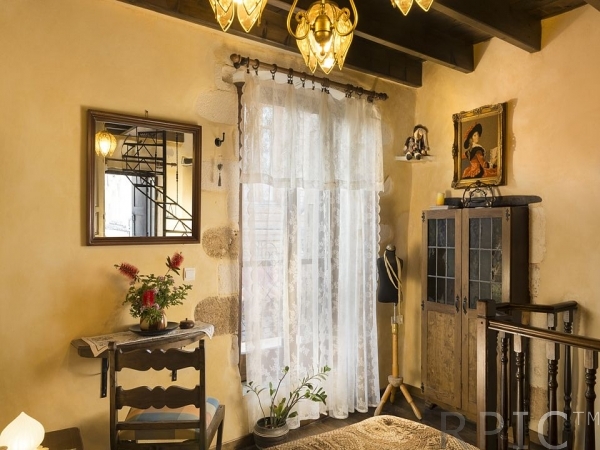 Stairs lead up to the bedroom with its double bed, wonderful Cretan carved bedhead, double doors to the balcony, and many Cretan decorative details. 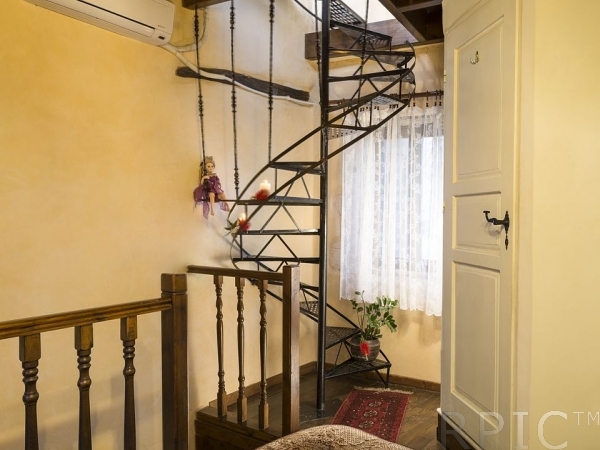 Then a spiral stair (quite narrow – not suitable for the infirm) winds up to the roof terrace, which has a table and four chairs, and lovely views to the minaret of the Church of St Nicholas in Splanzia Square. 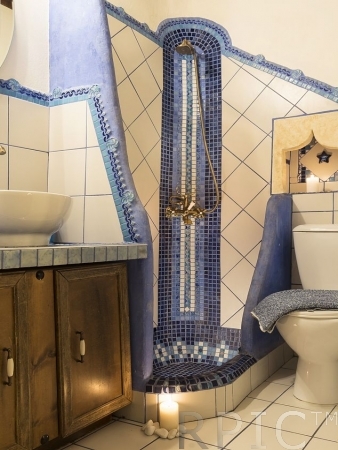 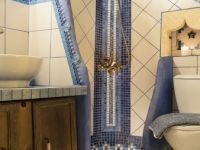 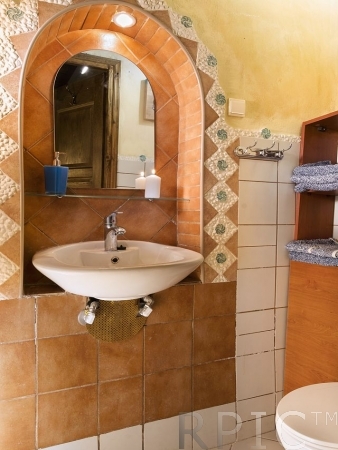 There are two shower rooms, each with WC, basin, and shower (the wonderful decorative Cretan tile-work. 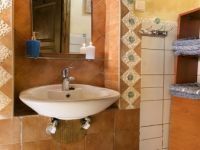 There is also a secure safe for residents’ use. 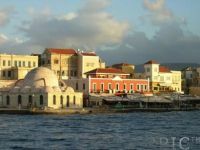 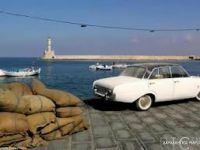 A gentle 20-minute walk will bring you to Chania’s main beach at Nea Hora, with beach beds, parasols, many fish restaurants, and the wonderful shallow-beached sea.